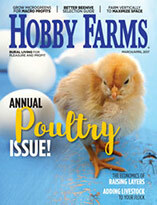 With egg-laying season ramping up, provide your backyard flock with a protein boost by supplementing their diet with mealworms. During times when protein needs are high, such as during a chicken’s annual molt or when hens return to egg laying in the spring, mealworms are an excellent protein supplement to help meet seasonal nutritional requirements. I thought for a brief time that I might try raising some mealworms myself. Simple systems exist for raising all kinds of squirmy critters. Red worms, for example, can be raised in commercial vermicomposting systems, and now people who like mealworms in their human food or want to raise them for chickens can do so on the kitchen counter in a tiered hotel contraption. I knew the mealworm was the larvae of something, but I didn’t know what. When I began researching a method for growing mealworms for my chickens, it didn’t occur to me that I’d be growing beetles—black, creepy-crawly darkling beetles. I also didn’t realize that I would have to separate the beetles from the larvae and pupae by hand. My naiveté amuses me. Clearly, raising mealworms isn’t for people who don’t like bugs. If my local pet stores carried freeze-dried mealworm chicken treats, I would have picked some up by now. Online prices seemed high for the six-legged “worms,” but when I found live ones at my local pet store—100 for $3.99—I realized the online prices are quite a steal. I decided to buy the ones available to me just this once. When I returned home, I popped my new wriggly friends into the freezer to kill them—at least, that’s what was supposed to happen. I didn’t freeze them long enough, and some reanimated upon the heat of the egg frying beneath them. With the days growing longer, my flock is returning to egg-laying well before spring’s insect explosion. Now is a great time to add some insect protein to its diet. Not only are mealworms an excellent source of protein, they’re full of essential minerals like sodium and potassium (important electrolytes for adequate hydration), iron, copper, and zinc. If you’d like to feed your flock mealworms as they’re gearing up for another prolific egg-laying season, purchase dried mealworms to get the most for your money. Or, do like I did and occasionally freeze live ones. 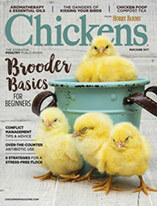 You can even cook them into the treats you already make in the kitchen for your chickens. Keep in mind that mealworms shouldn’t be considered a feed source. 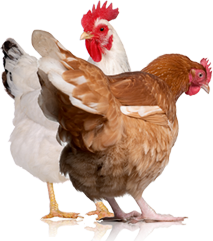 They’re simply a supplement to balance nutritional needs along with regular chicken feed and natural foraging. 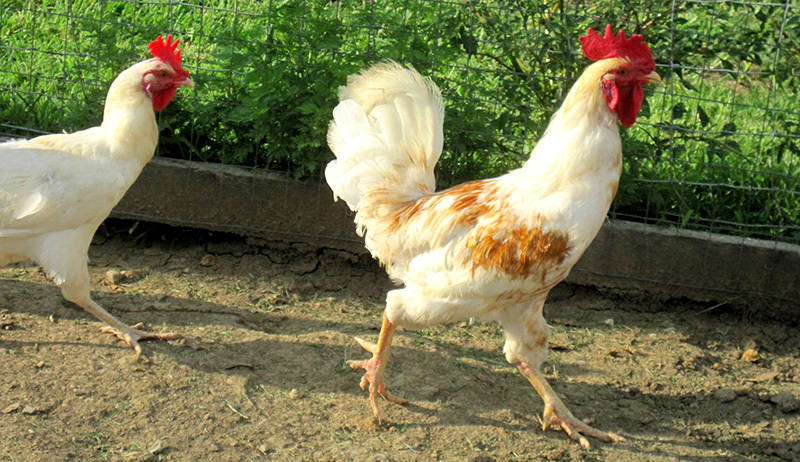 Mealworms simply provide a protein boost when chickens need it most. If you do buy live mealworms, know that the darkling beetle is an invasive species to North America. Do not scatter live mealworms for forage like one might toss live crickets into a run to bust winter boredom. Also, know that live mealworms can bite; you probably won’t want to handle them with bare hands. Large packages of mealworms are available from Chubby Mealworms and are marketed as wild-bird treats. The 2-pound bags (32,000 mealworms) run about $25, the 5-pound bags (80,000 mealworms) run for about $49 on Amazon. They’re also available on Chubby’s website. Happy Hen Treats’ Mealworm Frenzy mealworms are packaged especially for chicken keepers, and are available in smaller packages for the small flock of backyard chickens. Live mealworms are also available online, should growing your own beetles interest you. I’ll leave that hobby to the more daring of you, while I return to my pet store to request they carry a freeze-dried version for my flock.